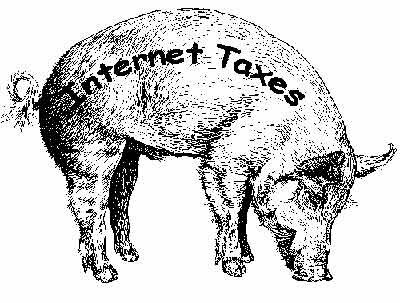 The Internet Tax Freedom Act Amendment Acts of 2007 (Public Law No: 110-108) provides a moratorium through November 1, 2014 that bars federal, state and local governments from imposing discriminatory Internet-only taxes such as bit taxes, bandwidth taxes, and email taxes. It also prohibits the sort of prima facie discrimination exhibited by SB 99—“Reselling or offering to resell admission tickets on the Internet…”). Because this tax applies to revenues received from Internet transactions but not to offline sales, it clearly violates the Internet Tax Freedom Act. Here’s where it gets even more interesting — this tax could even be an example of a “multiple” tax. SB 99 imposes a privilege tax on Internet ticket sales that amounts to double taxation. Income earned ticket reselling is already taxed. Companies and individuals that earn revenue from reselling tickets already pay income tax. Moreover, the same ticket could be resold numerous times, resulting in multiple taxation of the same increment over face value. There are other problems with SB 99 that we lay out in our NetChoice letter, but federal law seems to be clearly against the bill. Previous post: Should Hulu Brace for Antitrust Action?